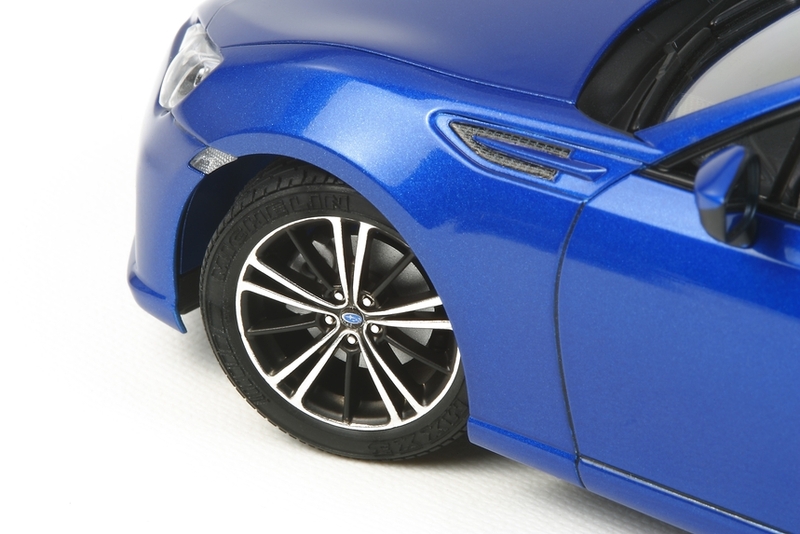 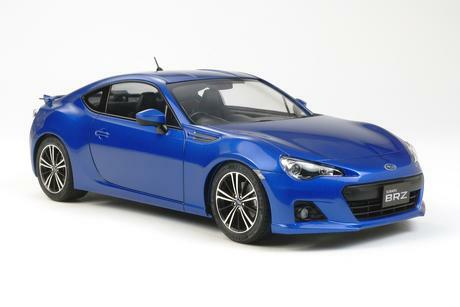 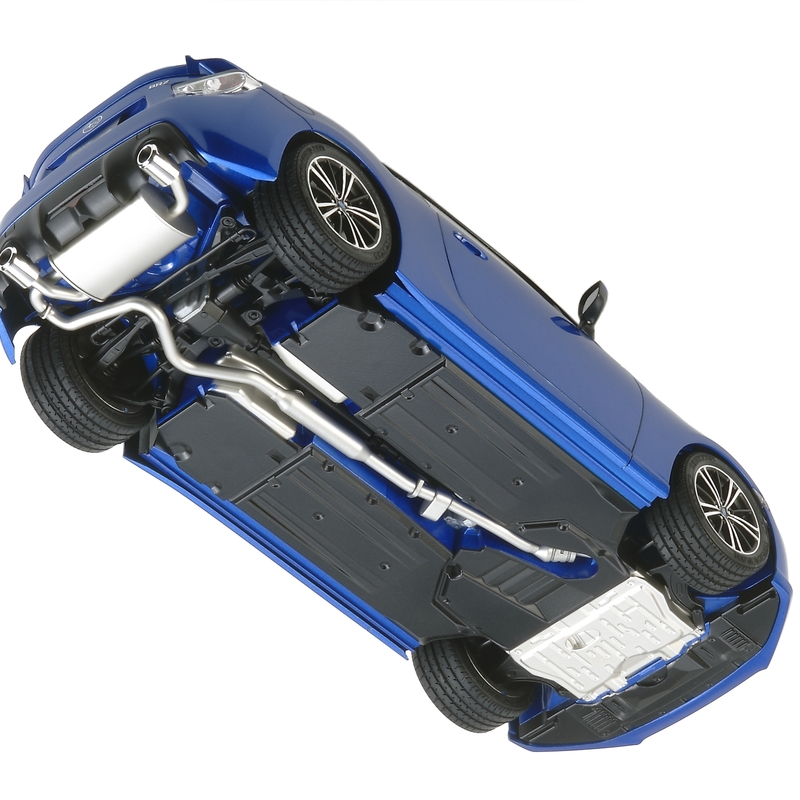 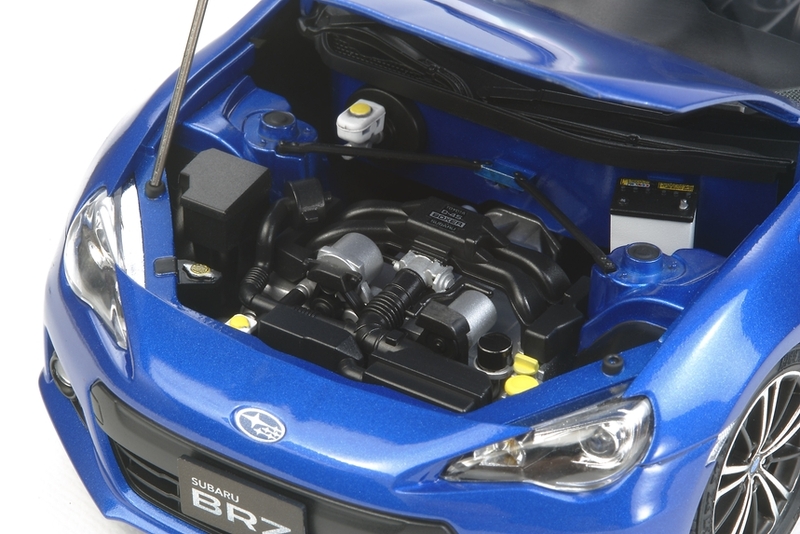 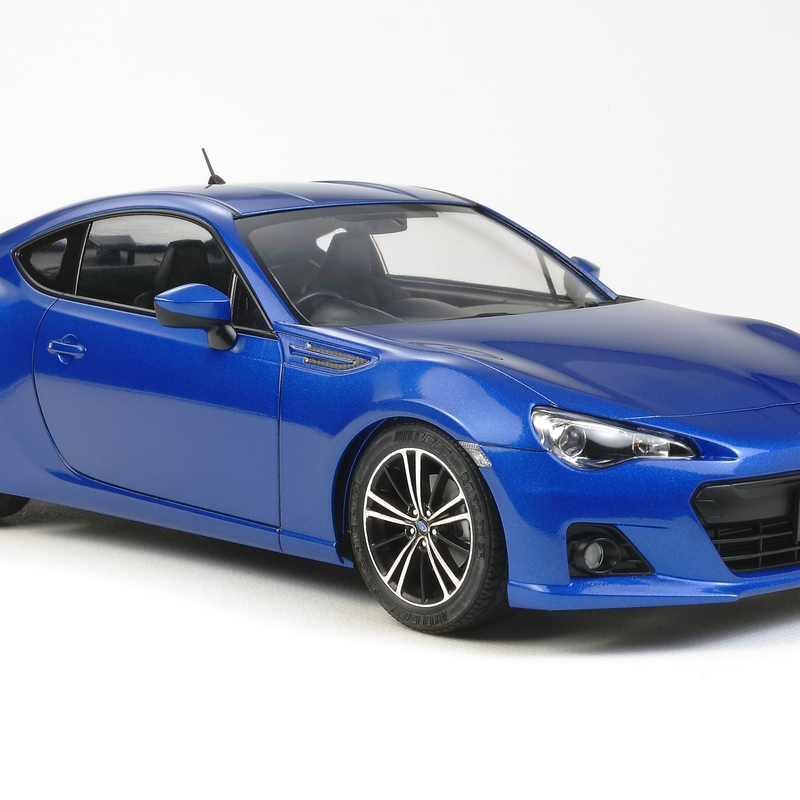 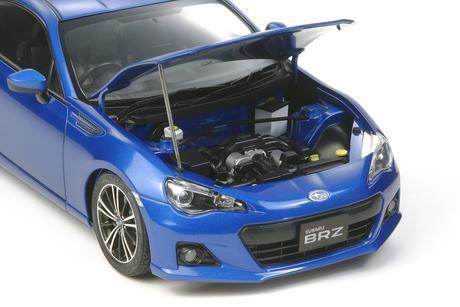 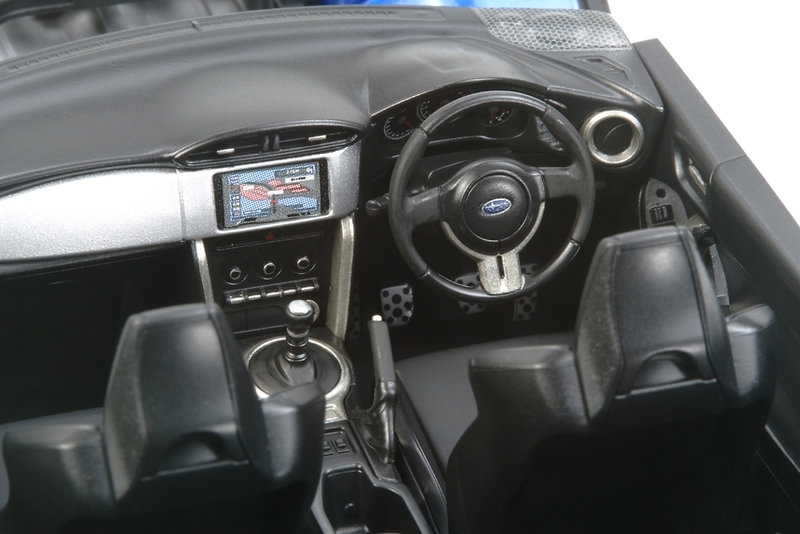 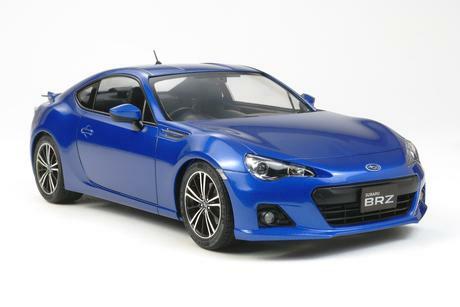 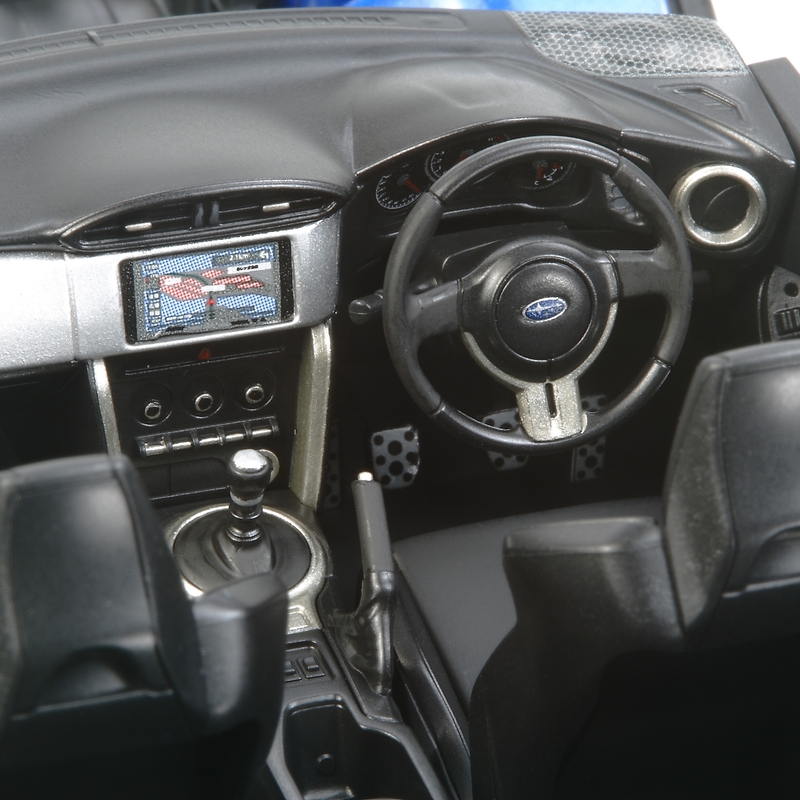 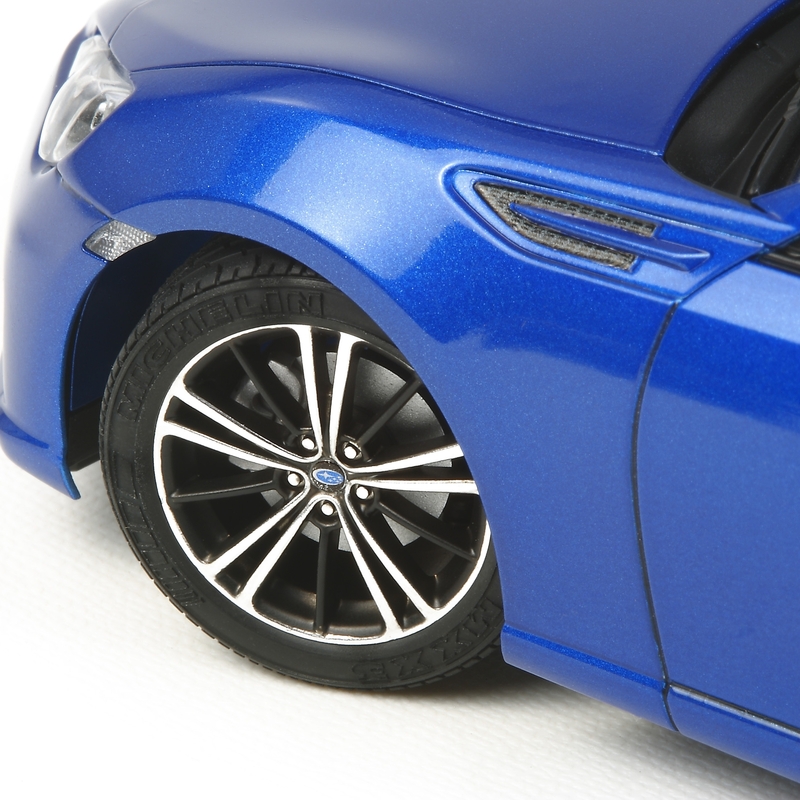 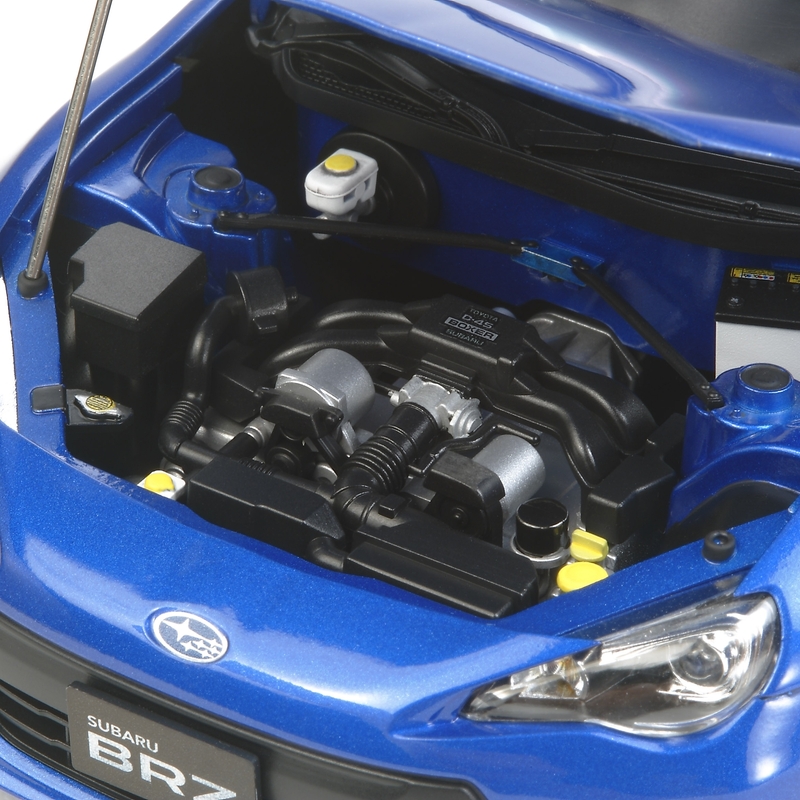 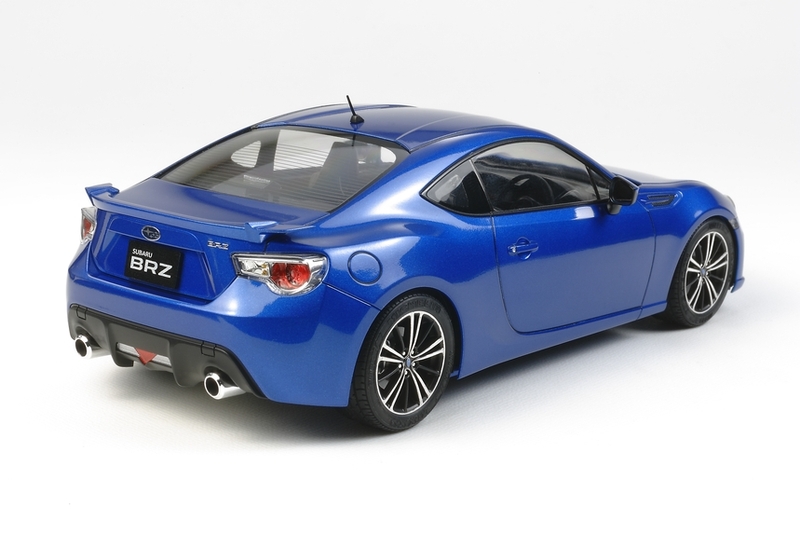 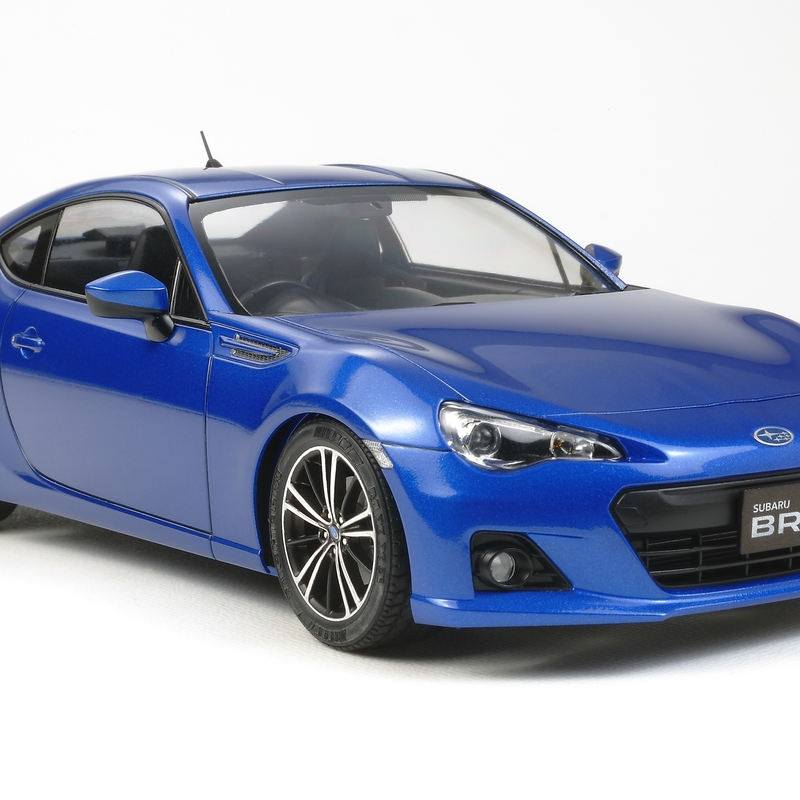 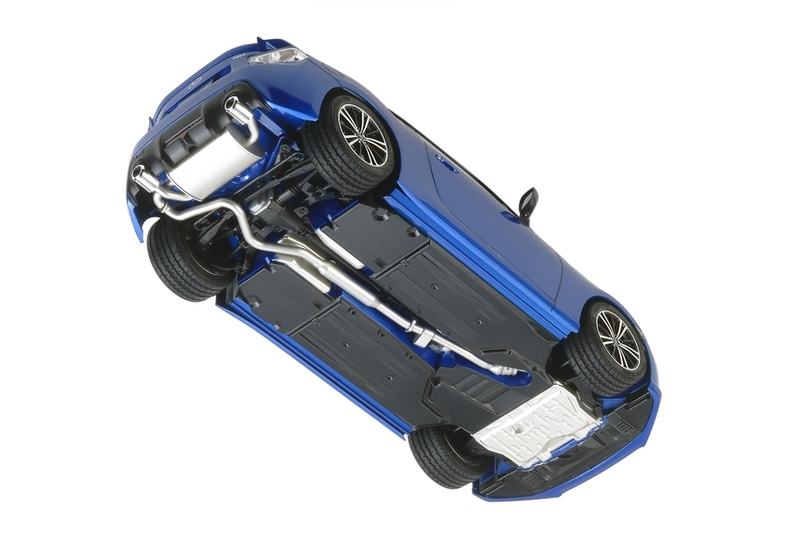 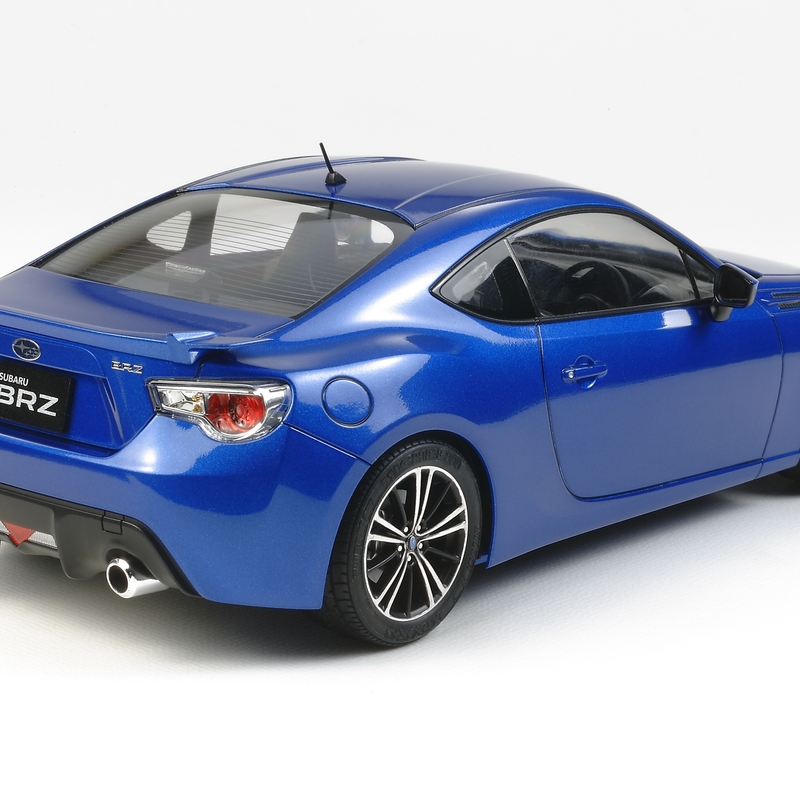 This is a 1/24 scale assembly model of the new Subaru BRZ, which was released to the driving public in March 2012. 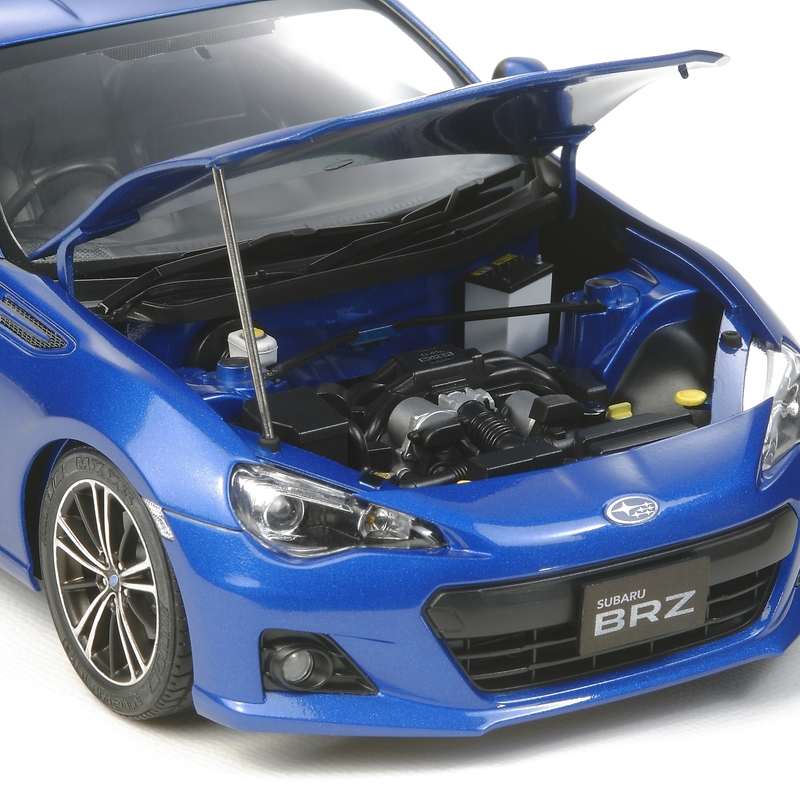 Details of full size subject: The BRZ is a compact, front engine rear-wheel drive sports car powered by one of Subaru's trademark boxer engines, a 2.0-liter 4-cylinder unit. 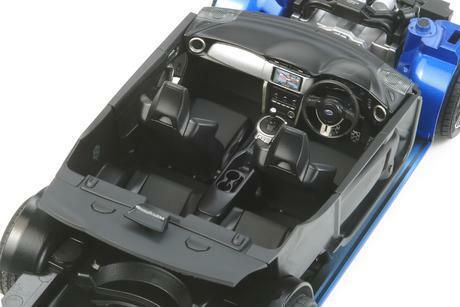 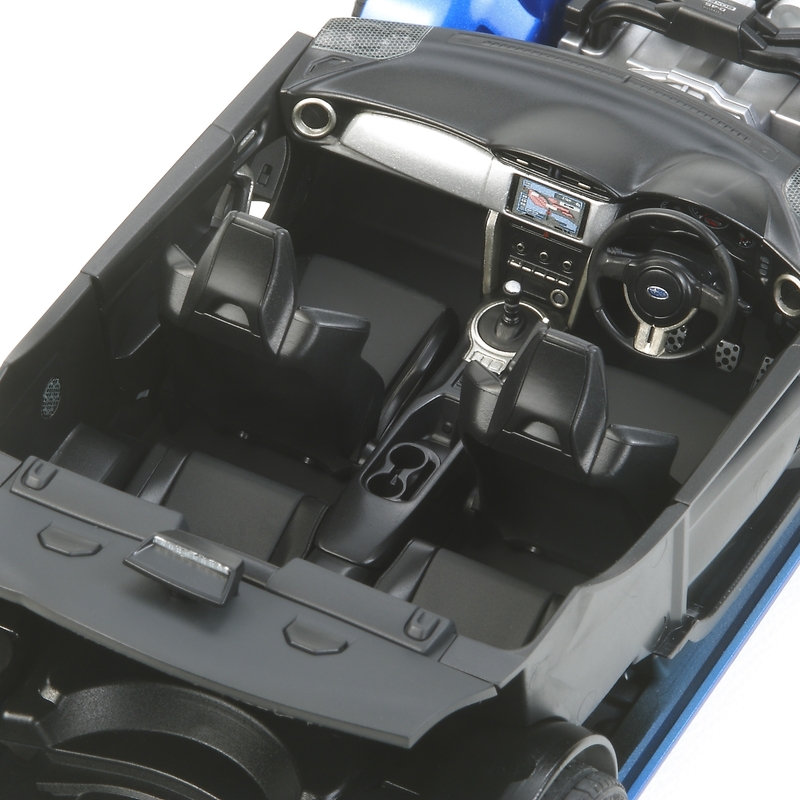 Its lightweight, rigid chassis was designed to give the driver an exciting driving experience and features a low center of gravity as well as a specially-tuned front strut, rear double wishbone suspension setup.